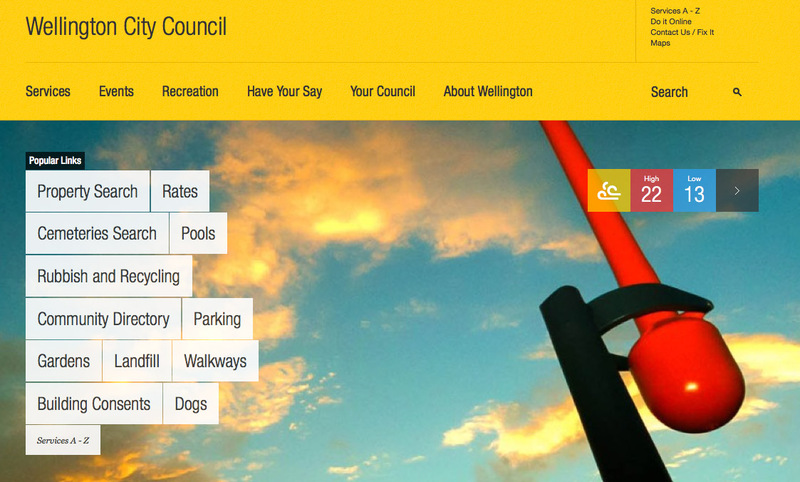 Well blow me down – the Council has a new website. Well done! I was just looking at the old one yesterday, thinking how tawdry it was looking – and today a brand spanking new website has popped up – colourful and more interactive. Haven’t had a chance to really look at it yet, but so far, so good. Text is too bloody small to read! I know I’m getting old and my eyes don’t work as well as they used to, but the small skinny text size on the average page is just frustratingly tiny! …but what is more annoying to me is that the physical content and location of items on the site has not changed. For instance – i can never find the list of Resource Consents that have been publicly notified. Some things are still in obscure places. If you were searching the WCC website for matters that WCC wanted feedback on, you could look under Have Your Say, and then Open Consultations, but that doesn’t cover off Notified Resource Consents. Can a few more cross-links be supplied at least? On the old site, the notified resource consents were listed under News / Public Notices. Thanks Jane – I’m sure I will find out where everything is in the end. Any chance of cross-linking from one part of the website to the other? Even a fish like me, a frequent delver into your website, gets lost underwater at times. But generally – well done on the revamp – long overdue and very nice to see!